Founded in 1989, the Institute of Informatics (INF) is a world-class center of excellence in Computer Science and Computer Engineering engaged in leading research, teaching, and technology transfer to Industry. The Institute has 71 faculty members, which makes it one of the largest Computer Science and Computer Engineering groups in the country. One of our main characteristics is a strong connection between research on software and hardware. The Institute also includes a team of 36 administrative staff to provide support for a community of over 700 undergraduate and 250 graduate students. The INF is internationally recognized as one of the most important Computer Science and Computer Engineering institutions in Latin America. Its faculty includes academics holding PhDs awarded by 20 different institutions from 8 countries. This diversity has enabled several successful international cooperation agreements. Our academic staff has a strong participation in international forums – journal editorial boards, conference program committees, and scientific societies. The INF is located in the city of Porto Alegre, the capital city of the state of Rio Grande do Sul, Brazil. Porto Alegre is a modern city with a population of over 1.5 million people. It has been recognized by the UN as the best capital in Brazil in terms of quality of life. The Institute of Informatics has an infrastructure comparable to the best universities in the world. Its 7,500m2 of built area include 23 lecture rooms, 12 teaching labs with over 500 computers for undergraduate students, 35 research labs, 4 lecture theatres, and a specialized library with over 22,000 volumes. The Center for Entrepreneurship in Informatics - CEI, founded in 1996, houses a technology incubator supporting innovative IT projects. The aim of CEI is to foster and strengthen the development of IT start-ups, providing technical support for technological innovation. CEI was the first technology incubator founded in southern Brazil and is now considered a reference model by assessment bodies of the Brazilian government. Since 1997, CEI has incubated over 30 new IT companies. The INF runs two BSc programs: Computer Science and Computer Engineering (the latter is offered jointly with the School of Engineering). Both programs rank among the best in the country, according to the Brazilian Ministry of Education and independent assessment exercises. Each year, 100 Computer Science and 60 Computer Engineering students start their BSc degrees. BSc in Computer Science graduates are qualified to design, develop, implement and manage computer systems, as well as provide solutions for personal computers, computer games, mobile devices, and complex corporate networks. The BSc in Computer Engineering qualifies professionals to work in areas where Electronics and Computing are complementary, such as micro-processing systems, embedded electronics, communication networks, industrial automation and microelectronics. The solid foundation provided by the Institute, complemented by the internship opportunities in collaborating institutions outside the country, offers broad career prospects to our students and alumni. 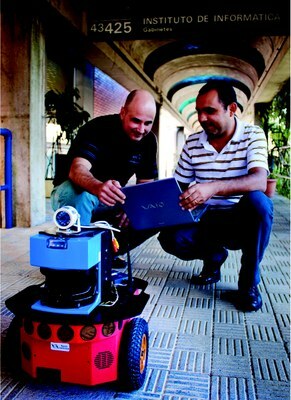 The Graduate Program in Computing (PPGC) is home of to various research groups. The program has 43 faculty members and over 250 MSc and PhD students. PPGC prioritizes full-time students. All full-time students receive scholarships from Brazilian funding agencies. Since 1973, PPGC has awarded over 1,100 MSc and 200 PhD degrees. Currently, it is one of the five Brazilian graduate programs rated as world-class by the Brazilian Ministry of Education. Professors and students regularly participate in the main international events in their fields. Some professors from the Institute of Informatics also take part in the Graduate Program in Microelectronics (PGMicro). 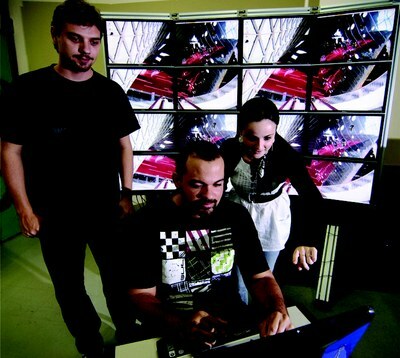 As a result of this cooperation, in 2008, the first training center for the design of integrated circuits (VLSI) in Brazil was launched under the auspices of the Institute. Faculty members also participate in the Graduate Program in Informatics & Education. This program fosters research on the development of modern educational methods and is a point of reference in distance learning. Research, innovation, and technological development play a central role among the several activities undertaken within the INF. Our research groups carry out investigation on core areas of Computer Science and Computer Engineering, and the members of the groups are active both in research and in teaching undergraduate and graduate courses in their areas. Currently, there are 15 formal cooperation agreements with renowned institutions from Latin and North America, Europe and Australia. The strong international research liaisons also allow several of our students to undertake part of their programs in study abroad programs at universities or in IT company research centers. Several MSc and PhD dissertations are co-supervised by faculty members from foreign universities. INF maintains regular exchange programs for undergraduate students with French and German universities. These programs allow dozens of students to take internships abroad. In return, a large number of foreign students are hosted here. In 2007, the first double-diploma degrees were awarded to students from UFRGS and INPG (Grenoble, France).